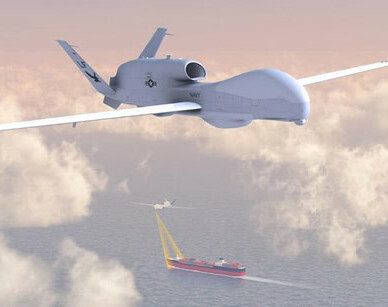 MQ-4C BAMS will soon become the first unmanned system in US service committed to the maritime patrol mission. After avoiding high profile, expensive events such as the Paris Airshow, Northrop Grumman opted to become one of the principal industry sponsors at the 19th annual Waddington International Air Show, being heldJuly 6-7 at RAF Waddington, Lincolnshire in the UK. Defense-Update reports. The company will display here a full scale model of the MQ-4C Triton maritime surveillance drone it is building for the US Navy. 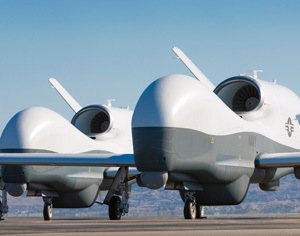 There are several reasons for the appearance of the Triton here – the US Navy is seeking overseas basing for this drone, and Northrop Grumman is looking for new international markets for the aircraft, the UK is likely to be one of these markets. For the Brits, the maritime surveillance capability of Triton could fulfil a capability gap created after the Nimrod maritime patrol aircraft (MPA) were phased out in 2010 and development of a new generation MPA aircraft terminated under the Strategic Defence and Security Review. 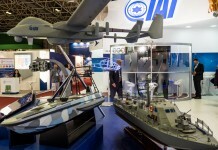 In December 2012 Defence secretary Philip Hammond said the Libya campaign had shown Nato’s over reliance on the US, he added that using unmanned aerial vehicles (UAVs) would be cheaper and less risky than developing a manned maritime surveillance aircraft. 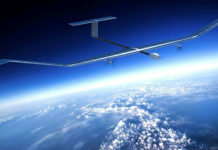 “It may be that we will move straight to unmanned reconnaissance vehicles that can do the task at lower cost and much less risk to the crew.” Hammond told members of the Parliament’s joint committee on the national security strategy. 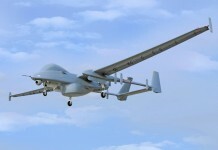 Triton is the most advanced intelligence, surveillance and reconnaissance unmanned aircraft system ever designed for use across vast ocean areas and coastal regions. 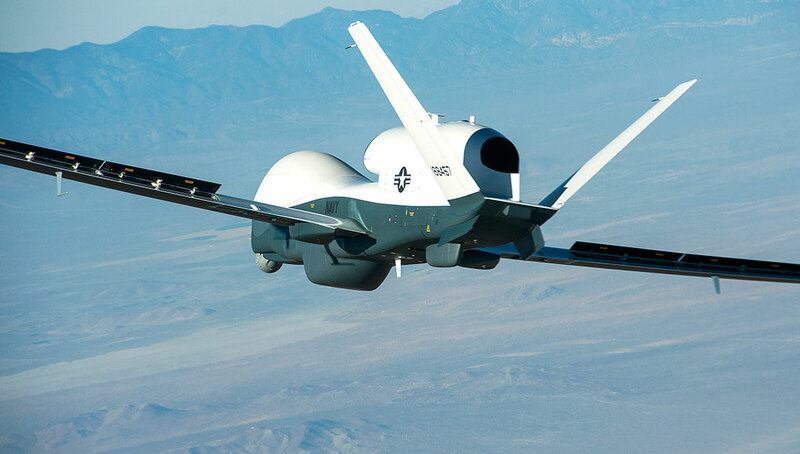 Triton is designed to fly surveillance missions of up to 24 hours duration and at altitudes of more than 10 miles, allowing coverage out to 2,000 nautical miles at a time.